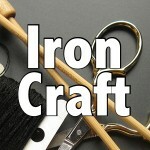 Oh, I had big plans for this Iron Craft Home challenge, but got sidetracked by the impending move and holding a garage sale. I ended up with a project that came together really quickly, but I still think it has a lot of impact. 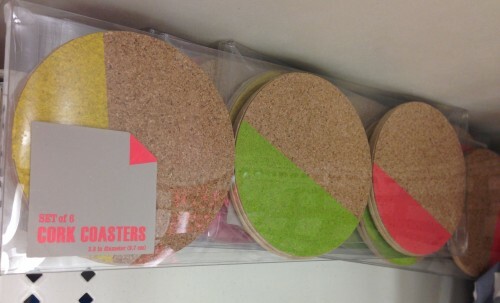 I was at Target (of course) the other day and these coasters caught my eye. 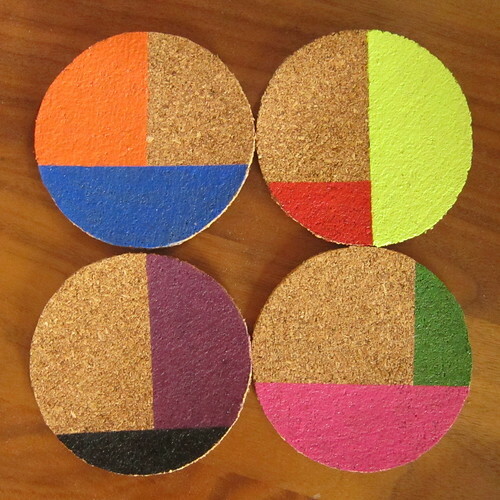 I liked the pop of color against the cork and, since I had some cork at home, thought they would be super easy to DIY. I decided to add more than one color and make them color blocked. They came out even better than I had hoped. I used scotch tape to get a nice straight lines. It didn’t peel the paint off when I taped over it to do the second color which was great. 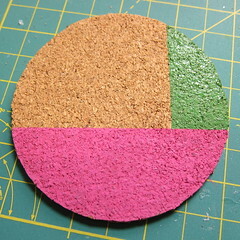 You can do this all different colors like I did or chose a color to match your decor or do them with a holiday theme. A coat of varnish keeps the paint from smearing if it gets wet while in use. 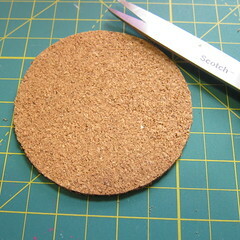 My cork was only 1/8-inch thick which made it very easy to cut, but does make for a thin coaster. 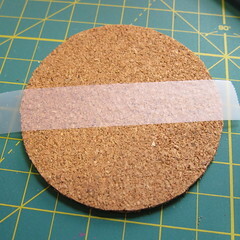 If you want something a little heftier use a thicker cork or glue two layers together. 1. 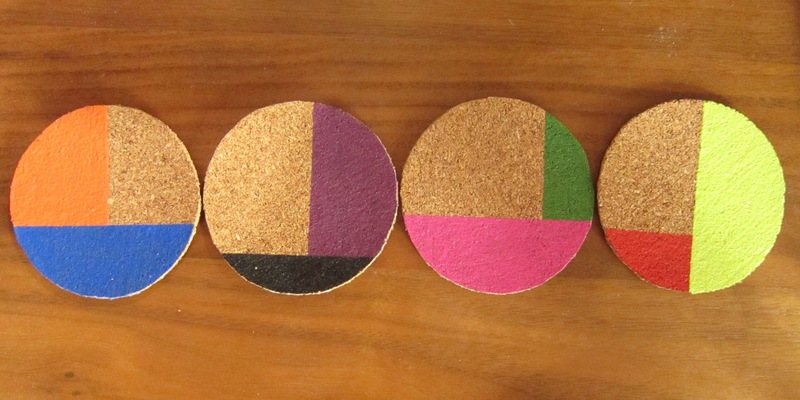 Cut circles the size coaster you want from the cork. I used a ribbon spool as my template and drew around it with a pen. Cut carefully as the cork can shred a little. 2. 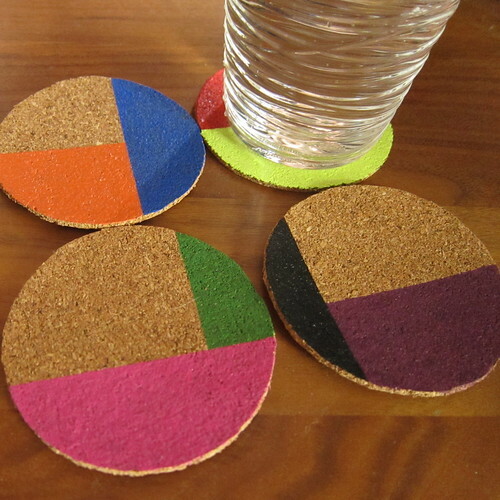 Place a piece of scotch tape anywhere across the length of the coaster. Press it down to make sure it is firmly in place. 3. 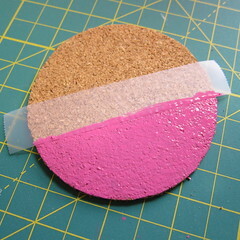 Paint one side of the tape with your first color. I found most colors only required one coat. Let dry. Remove the tape. 4. 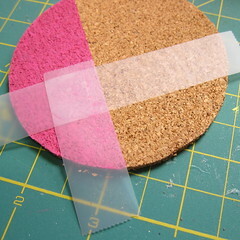 Place another piece of tape perpendicular to the first color section. 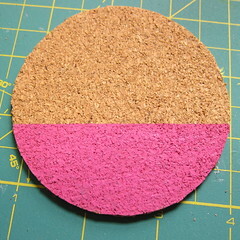 Then place one over the painted section right over the edge. Paint the new taped off section with a second color. Let dry. Remove tape. 5. Paint with a coat or two of varnish. I’m thinking these are perfect for the patio. Or maybe felt on the back. These are great and I would have never had thought to use transparent tape. Painter’s tape definitely but transparent tape in a pinch is a great idea. Dr Russ – I ended up using scotch tape because I didn’t feel like running to the basement for painters tape 😉 I was surprised at how well it worked & loved that it didn’t peel the first color off when taped over.